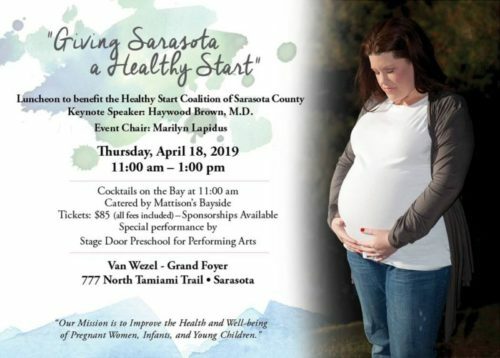 Please join us for our 6th Annual “Giving Sarasota a Healthy Start” luncheon at the Van Wezel! Guests will enjoy a delicious lunch with wine service catered by Mattison’s with a gorgeous view of Sarasota Bay. 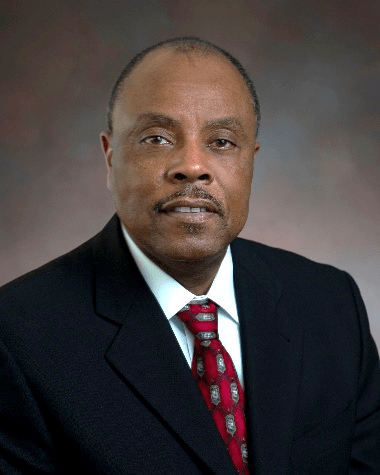 Keynote Speaker, Dr. Haywood L. Brown, Immediate Past President ACOG, Vice President of Diversity and Inclusion and Associate Dean at Morsani College of Medicine at the University of South Florida will provide an engaging presentation. Children from Stage Door Preschool will delight guests with an adorable performance. Dr. Haywood L. Brown is a native of North Carolina. He received his undergraduate degree from North Carolina Agricultural and Technical State University in Greensboro and his Medical Degree from Wake Forest University School of Medicine in Winston-Salem, North Carolina. He completed his residency training in Obstetrics and Gynecology at the University of Tennessee Center for Health Sciences in Knoxville, Tennessee, followed by subspecialty fellowship training in Maternal and Fetal Medicine at Emory University School of Medicine/Grady Memorial Hospital in Atlanta, Georgia. Dr. Brown has a distinguished career as an academic leader in education and clinical research for three decades. Dr. Brown returned to home State of North Carolina in 2002 as Professor and Chairman of the Department of Obstetrics and Gynecology at Duke University Medical Center in Durham, North Carolina. Most notable is during his tenure as Chair Dr. Brown established a Global Women’s Health Program as a component of the Duke Global Health Institute. Dr. Brown has served in numerous local and national leadership positions including the American College of Obstetricians and Gynecologists. In 2017-2018, Dr. Brown served as the 68th President of the American College of Obstetricians and Gynecologists and is the immediate Past President of ACOG. In addition, he has served as Chair of Council on Resident Education in Obstetrics and Gynecology (CREOG), the Board of Directors for the Society for Maternal Fetal Medicine and is past President of SMFM. He is past President of the American Gynecological Obstetrical Society (AGOS). He has also served as a Director of the American Board of Obstetrics and Gynecology. Dr. Brown leadership includes the NIH DC Initiative on Infant Mortality and the HSRA Perinatal and Patient Safety Collaboration. Dr. Brown is especially committed to the care of women at high risk for adverse pregnancy outcome; particularly those disadvantaged which includes disparity in maternal and infant mortality. His ACOG Presidency focused on disparity and women health equity. In July 2018, Dr. Brown was named the Vice President for Diversity, Inclusion and Equal Opportunity at the University of South Florida and the Associate Dean in the Morsani College of Medicine at the University of South Florida in Tampa, Florida.